Instagram’s Stories are one of the most popular ways to share content on social media, but sometimes images and videos just aren’t as effective as plain old text. 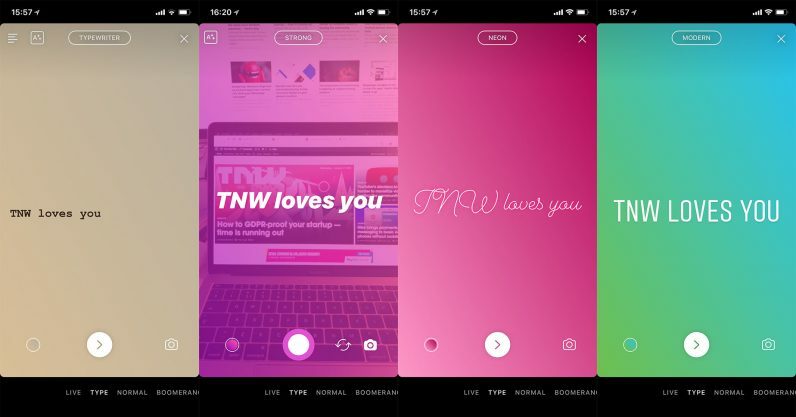 Instagram knows this too, so now it’s testing a new feature – simply called ‘Type’ – that puts the emphasis on written stories. The feature shows up as another option at the bottom of the Stories camera, next to older choices like Boomerang and Rewind. 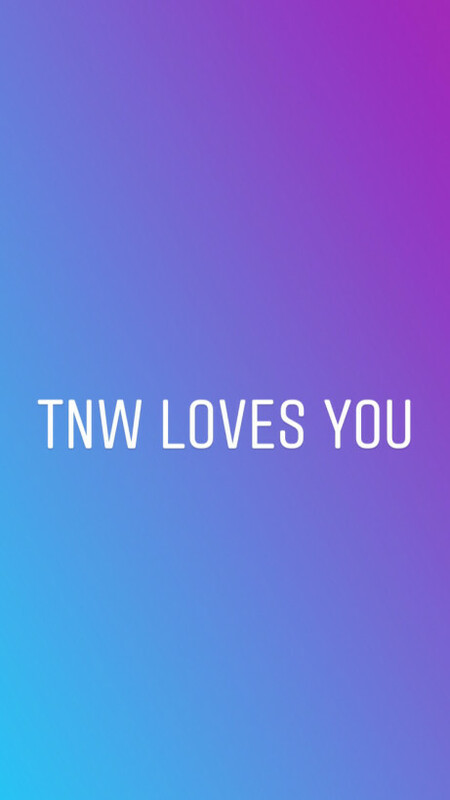 We first spotted the test in December – when it was apparently limited to users in Japan – and now at least one European TNW team member has it on his device. In other news, WABetaInfo – which also spotted the new Stories format – noticed Instagram is testing the ability to send a notification when someone takes a screenshot of your story. Previously the company supported notifications for screenshot of direct messages, but this is the first time we’ve seen it for stories. That said, it does cut you some slack – it won’t notify users of your first offense, but will do so after your second strike. We’ve contacted Instagram for more information on when we can expect a wider rollout of these features and will update this post if we hear back.